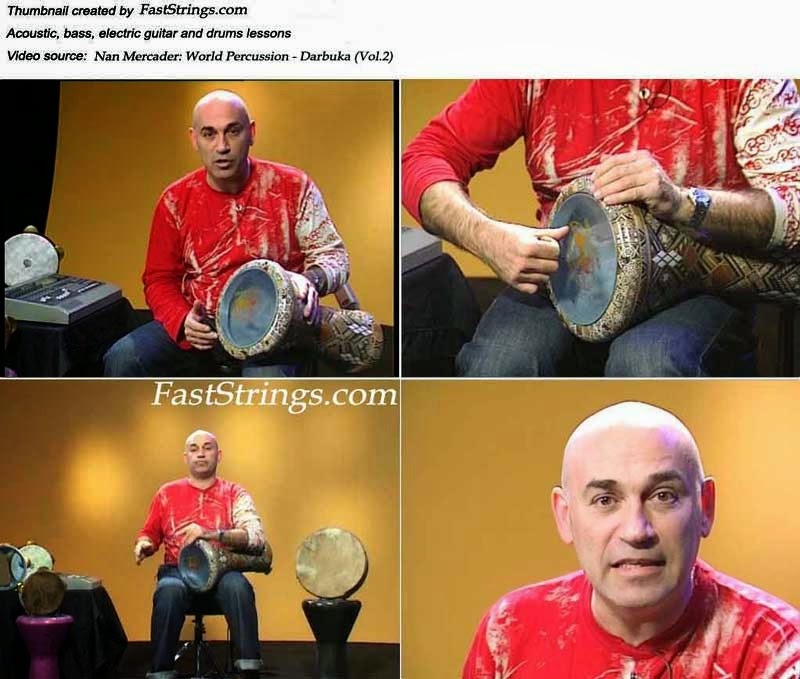 Nan Mercader World Percussion Volume 2 Darbuka DVD download free. Welcome to World Percussion, Nan Mercader’s percussion method DVD collection. You have a powerful aid in your hands, to initiate you into the world of percussions. Here you will learn the story behind the drum, how to tune it, the correct playing position, the different sounds, hand techniques, and study exercises and rhythms. All rhythms are taught with a metronome (click track). Following this you will be ableto see and hear the rhythms played by a live band. Finally, you will be able to play along in the Minus One section. Exercise and rhythm manuscripts are included, as well as tips on buying the instrument, how to organise your study time, and a links section to the best sites on the web. AFRICAN RHYTHMS : Ayyub, Karachi, Masmudi Kabir, Fezzani, Barwati, Maqsoum, Kalamatiano, Turkish five, Snish hast, Karsilama. Thank You very very match!!!!!!!!!!!!! !